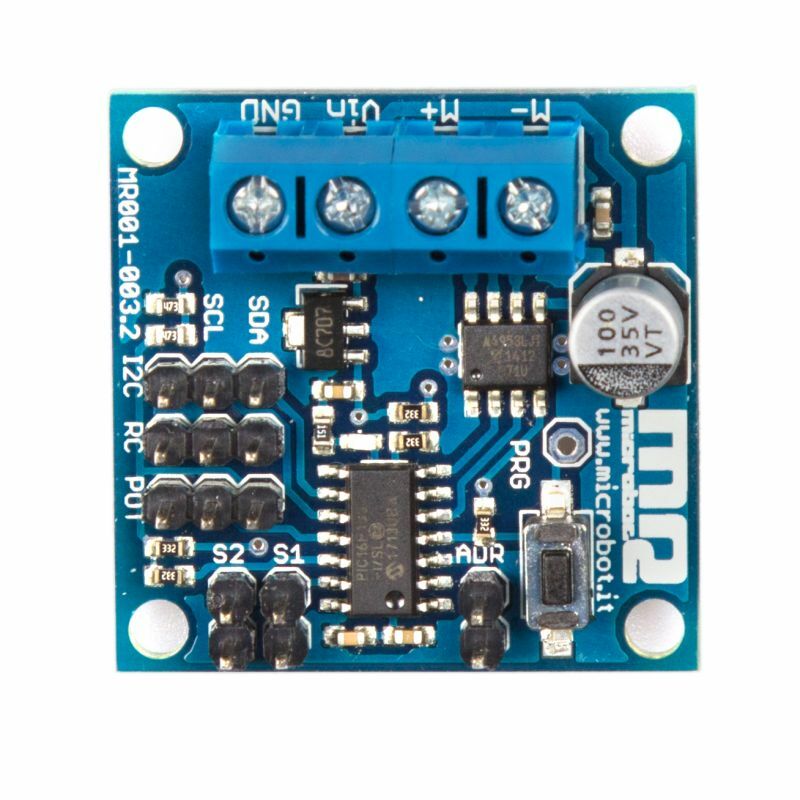 The Easy Motor Controller allows to control the speed and the direction of rotation of a DC motor through three different possible inputs: analog (potentiometer), radio control RC, I2C digital communication. 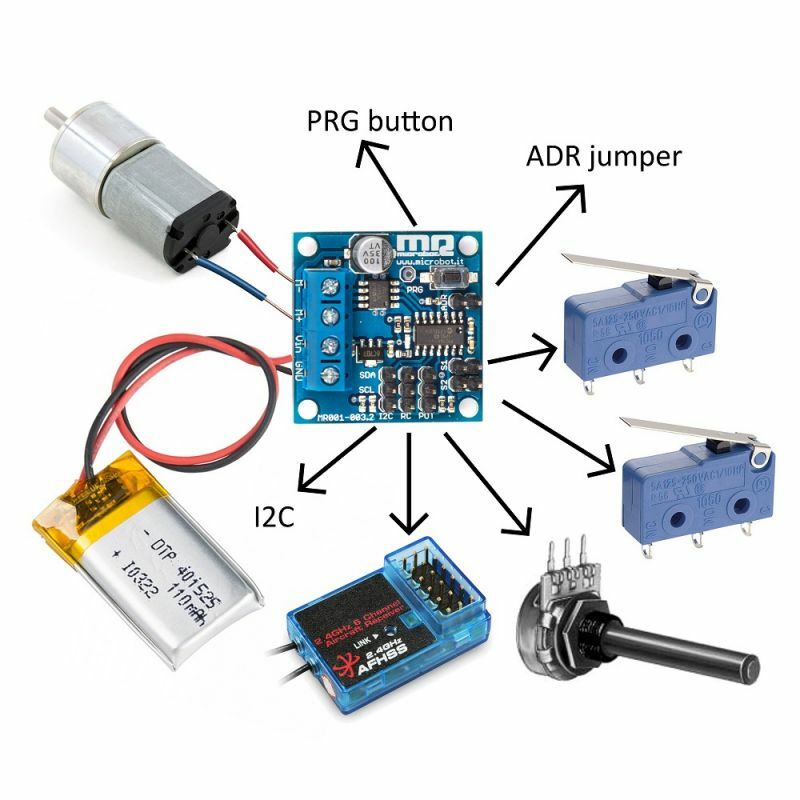 Its use is very simple and the input type can be selected just pressing a button as explained in the instructions below. To optimize the response to RC commands you also have the calibration function on the receiver signals. 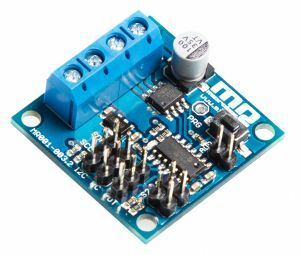 For the I2C communication, there are two different slave addresses selectable through a jumper, and in this way it is possible to use two Easy Motor Controllers on the same serial line, and then control them by using a single external controller. In completing the functions on the board, there is also the possibility of using two limit microswitches, that will act as a protection, by stopping the movement of the motor in the two possible directions when the pressure of the microswitch is detected. To fix the board there are four 3.2 mm holes with a distance of 28mm from each other. Supply current (logic) 8mA typ.